Please, follow signs for Run By Dogs. We share the business property with our family, and please respect that privacy. 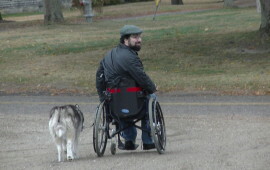 Run By Dogs is a professional company serving people and their dogs. 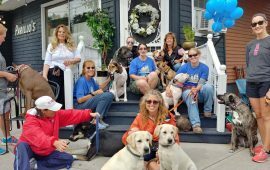 We offer family dog training, AKC Certification and STAR Puppies Certification, dog sledding excursions, educational programs and boarding. We welcome all dogs to our training center- from puppies to nervous, insecure and aggressive dogs who need extensive education. Training center is monitored 24/7 for safety, security and peace of mind. We have two goals : For training our goal is to teach behavior, energy, intention, leadership, how and when to praise and correct behaviors, and how to positively advocate for your dog so he can make awesome choices. We will not turn away any breed or any behavior. Secondly, our goal for dog sledding is to promote working dogs, interaction between humans and dogs while working, providing a fun experience for our guests as well as our dogs, and showing a new organic, primitive way of enjoying the outdoors on our scenic property in Sharon Springs. Our educational programs are offered throughout the Capital Region, Mohawk Valley and Southern Adirondack Mountains. We are fortunate to live in a small community that has several different styles of training, personalities, philosophies, tools, and approaches. There is a dog trainer here in our tri- county area for every dog, every need, every person, every family. Wondering what Run By Dogs is all about? What is our approach? What tools do we use, and why those tools? What behaviors will we work with? Yes, lets tackle all those questions! We have two behavioral trainers, a basic obedience and agility/ trick/ puppy trainer, and a real world community guide. Run By Dogs was founded with real dogs, real results, hard dogs and serious owners. All of our trainers became trainers- not because of cookie cutter dogs- but by sticking through the hard stuff, the hours of learning, behavioral college degrees, kids and dogs, medical degrees, and tough (read TOUGH!) personal dogs. Our tools and approach are different than others in our local community. We follow a low level, modern, remote technology foundation. * We carry a strict 90/10 rule. 90 % of our training time, we ensure we are giving the dog a “yes” word. 10% of the time we are giving a “no” word. 90% of the time we are working on a permission based- follow me- state of mind training with the dog, 10% of the time we give the dog free choice. Think of kids on a play ground- 90% of a school day is with structure, 10% of the day is at recess- but no bullying! We do use other tools- if a dog is confused about pressure on the leash and why it’s being given or released, or to mark a specific movement or behavior- we will use a clicker. Often we start our board and train dogs with food markers and rewards and wean the dog off of food use by the end of their stay with us. We use prong collars to help with leverage and to keep direct pressure off of the dog’s neck and trachea. We use slip leashes, toys, regular collars, body pressure, physical touch and verbal commands. We use treadmills to release endorphins and adrenaline and provide structure. We use walks to teach leadership. We use basket muzzles to create safety. We strive to be balanced in all methods. What is state of mind training? Have you ever found yourself yelling, being frustrated into tears, the dog not listening and becoming angry because you know the dog knows the command- but just isn’t listening? That is state of mind training. Obedience training WORKS for some dogs and creates a great relationship with the family. 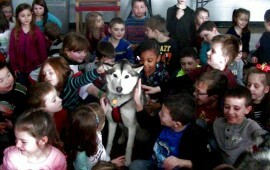 Some dogs, and most of the dogs we work with, come in the door with great obedience. They will preform any rehearsed command. What frustrates owners are the hours they have spent working commands has done little to nothing for their dog when confronted with stress, problems, distractions, arousal, etc. 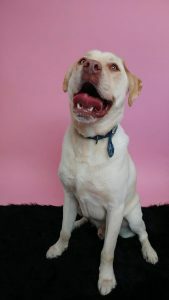 We teach dogs how to problem solve, to focus, to follow through, and give building blocks, as well as teach owners how to advocate for their dogs needs, to give the dog a support system, and continuing education. We won’t turn away any breed, any behavior. Need help sifting through the options our community has? Our reach for training starts here in Schoharie County, with clients in Sharon Springs and Cobleskill, and extends to Amsterdam, Schenectady, Johnstown, Gloversville, Utica, Cooperstown, Oneonta, Clifton Park, Albany, Saratoga; down to NYC, and in to the central Adirondacks. Interview the trainer. Become a knowledgeable consumer. Look at results, read reviews. Understand the tools. The last piece of info that really speaks about who we a re at Run By Dogs… Listen to your heart and your blood pressure. When both are happy in equal measure, you are on the right path. Almost every person who has done training with us has heard that as an answer to many questions. *We do not advocate the use of most brands of e-collars, shock collars, or correction collars. There are big time differences, and if you would like to check out our low-level technology, please stop in to feel the difference for yourself. Or, we also have a video on our website that describes in detail the differences. “My dog Mikki and I recently completed a board and train for 4 weeks with Run By Dogs. My dog was brought to Kate as an extremely reactive dog with both humans and other dogs. I had a hard time bringing her anywhere and an even harder time having people at my house. New this fall! Kennel tours! 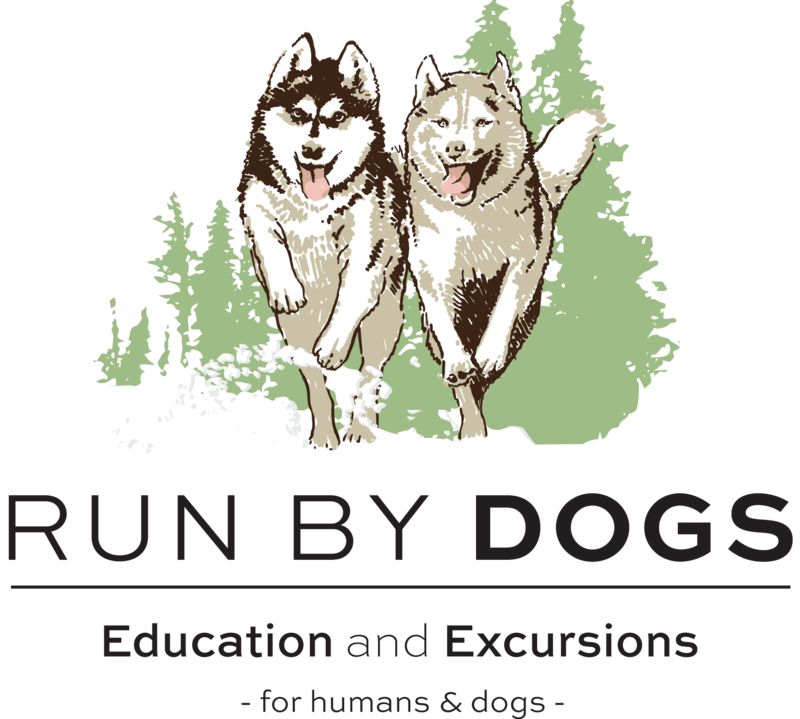 If you are interested in a kennel tour and a dog sled ride, please send an email to Kate@runbydogs.com to reserve your time! 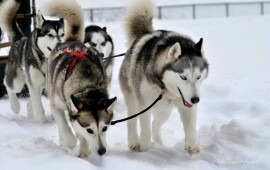 $40 for a 30 minute kennel tour of our sled dogs home!